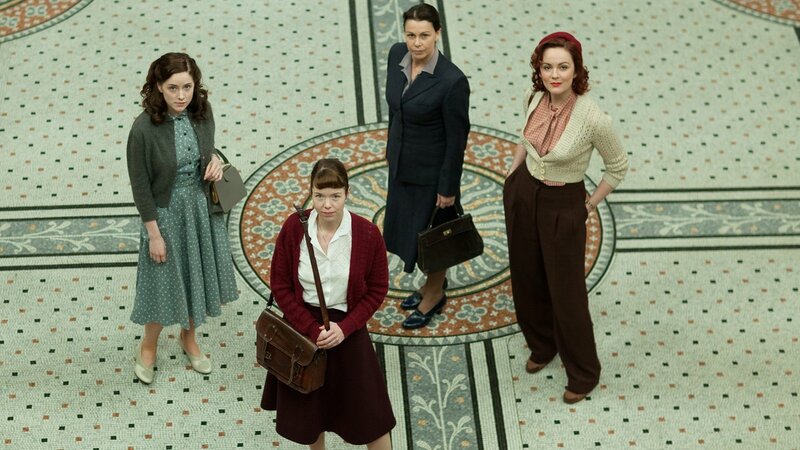 The Bletchley Circle: Season 1 aired April 21 – May 5, 2013. Four women become the unlikely investigators of a string of grisly murders. 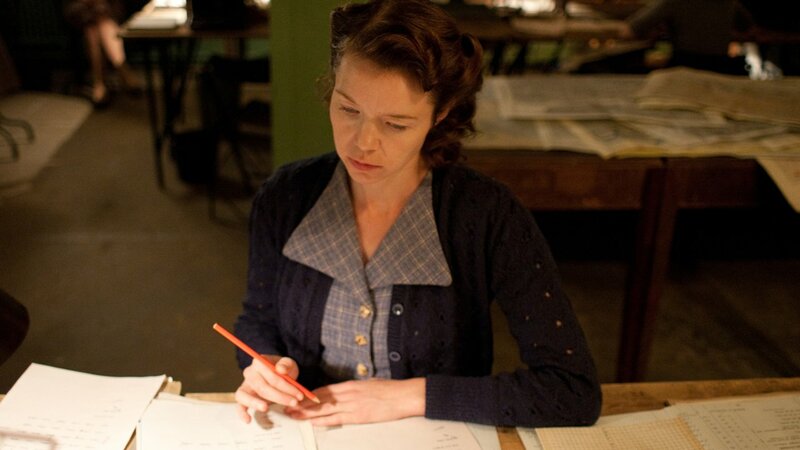 It’s 1951 and Susan, played by two-time BAFTA award-winner Anna Maxwell Martin, Millie (Rachael Stirling, Women in Love), Lucy (Royal Academy of Dramatic Art graduate Sophie Rundle) and Jean (Julie Graham, William & Mary, Survivors) have returned to post-war domesticity, modestly setting aside the part they played in the Allied victory. 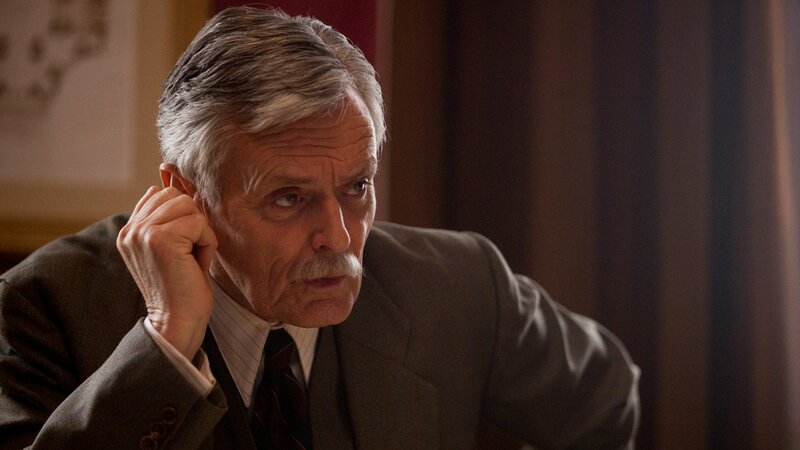 Their brilliant work at top security HQ Bletchley Park helped crack the codes used by the German military, producing crucial intelligence that shortened the war. Susan’s conventionality masks a sharp, inquisitive mind. She may appear every inch the typical 1950s wife and mother, but when she hears about a string of unsolved murders in London, Susan’s old Bletchley spirit is ignited. With her handwritten charts of numbers, dates and times, and lines of wool connecting the dots on her wall map, Susan has spotted a pattern of behaviour in the killer that no one else sees. Unaware of her background, the police dismiss Susan’s theories causing her to realise that the only way she can solve the murders is with the help of her friends. Secretly, Susan reconvenes the formidable foursome — bohemian and streetwise Millie; Lucy, with her brilliant photographic memory and Jean, the methodical no-nonsense organiser. A race against the clock ensues as the women work to outwit the culprit. Can they rekindle their singular expertise and discover the killer’s next move — before he strikes again? 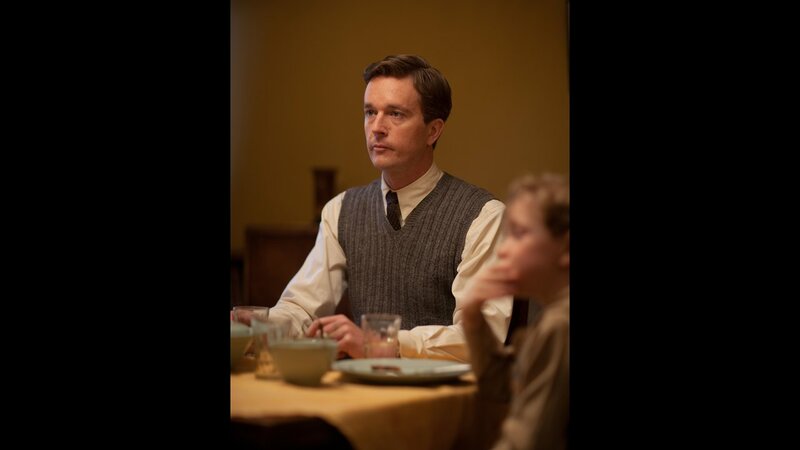 The Bletchley Circle was produced by Simon Heath and Jake Lushington, directed by Andy De Emmony and written by Guy Burt.